Rahn, M.M, & Schäfer, G. (2015). 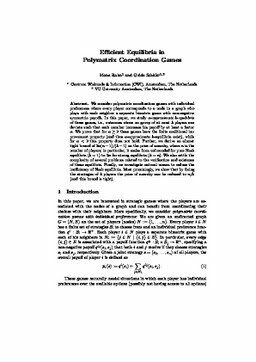 Efficient equilibria in polymatrix coordination games. In Mathematical Foundations of Computer Science (pp. 529–541). Springer.